My new weekly feature of music I like, even if the videos are sub-par. I'll try to find cool videos as well. Today is the Mary Chapin Carpenter's "I Have a Need for Solitude". I used to be a big fan of Carpenter's over the last two decades, and her style has not changed all that much. My tastes might have, because, while I still love the sound of her alto, her last two or three albums have bored me - more than just a little bit. 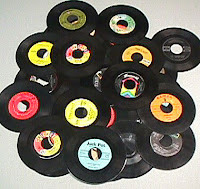 She used to mix it up in tempo and such, but now it seems like one continual song................for three disks. That being said, this track is off her latest disk, 2010's Grammy nominated The Age of Miracles. I like the track a lot, but as I've sampled the others from the disk, I don't like any other song enough to purchase the entire album. Still, I do like her voice and the song is nice. It makes me want to go back and listen to some of her older music. I discovered her only recently. Apparently Someone's ex used to like her a lot, but he got the CDs in the 'divorce'. Hedoesn't have much desire to hear them, so I am trying them out. You're right, this new song sounds like the last one I last heard years ago. Still, it's nice relaxing music! @Jim - I think I like this song bc it IS like her older stuff. Her newer stuff is, and i know it can be a fine line - boring. @Spo. I can help navigate you through some really good stuff of hers if Someone won't.